Four Marines urinate on Taliban corpses. US troops burn Korans on an American army base. Now an American solider has murdered 16 Afghan civilians (including nine children and three women) before burning their corpses. I’m not paying one whit of heed to what our leaders are telling us about this horrid tragedy. We’re told this act was the work of one lone deranged gunman – and it may well be, despite the fact that some eyewitnesses reported seeing more than one shooter – and other locals are publicly dubious that a single soldier could have shot and killed 16 civilians in houses over a mile apart then burned the bodies afterward. Defense Secretary Leon Panetta’s explanation: “War is hell.” Yes, I suppose it is, but we are all sadly, tragically deluded if we feel we can sugar-coat the insanity of war by dismissing this incident as the handiwork of one “rogue” gunman. I’m always fascinated that when these kinds of atrocities occur, defenders of war practically fall over themselves explaining that it was the work of “deranged individuals.” The sad truth is that in war, atrocities are the rule – not the exception. Let’s assume for the sake of argument that there was only one shooter in this recent tragedy. Authorities report that he was in his fourth combat deployment in ten years and that he had suffered from a war-related head injury. Does this describe a “rogue” gunman to you? I’d say given the insane circumstances in which his nation had placed him, his actions sound eminently understandable. Afghanistan is now officially our longest war – i.e., the longest example of mass psychosis in our nation’s history. Contrary to what our leaders have been telling us, we are not experiencing anything resembling “success” in that country. The longer we stay, the more we will continue to desensitize and dehumanize the young Americans we have seen fit to place there – and the more we will continue to rain death and destruction upon the people of that country. Indeed, our interminable presence in Afghanistan virtually guarantees we will see more “rogue” incidents like the one we witnessed this past weekend. The classic midrashic commentary “Mechilta of Rabbi Ishmael” teaches: When an arrow leaves the hand of a warrior he cannot take it back. God help us if we truly believe we can control the insane forces we’ve unleashed in Afghanistan. It’s time to come to our senses and bring our troops home. 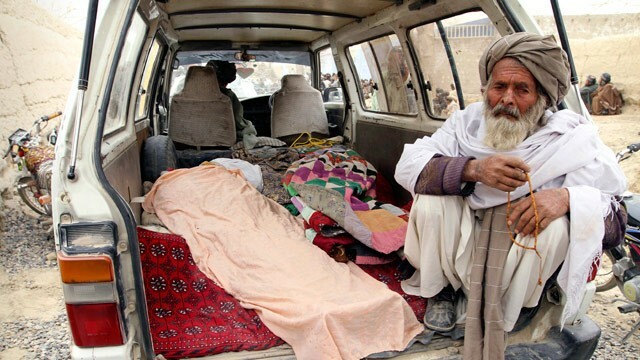 This entry was posted in Afghanistan, Human Rights, War, World on March 12, 2012 by Rabbi Brant Rosen. Tonight I won’t need to drink anything to tell the difference between Bibi and Daffy Duck. This entry was posted in Comedy, Iran, Israel, Purim on March 7, 2012 by Rabbi Brant Rosen. Rabbis of JVP Call on Obama: Don’t Let Bibi Pressure US into War on Iran! The Jewish Voice for Peace Rabbinical Council has just released the following statement, below. If you are a rabbi or cantor, please consider signing on. We, the undersigned American Jewish clergy, are deeply concerned about reports that Prime Minister Netanyahu will demand of President Obama, at their meeting at the White House today, that either the United States attack Iran, or else, Israel will. We do not welcome the prospect of a nuclear-armed Iran. We call on all the military forces in the region – including Israel’s – to divest themselves of their nuclear armaments and renounce any belligerent nuclear aspirations. The State of Israel refuses to acknowledge its own nuclear arsenal or to submit to international monitoring. We believe it is hypocritical of Israel to demand of Iran what it refuses to agree to itself. Most of the people of the State of Israel oppose Prime Minister Netanyahu’s military threats against Iran. They fear the consequences of an attack on Iran. As Jewish leaders, we too believe that the path of wisdom towards achieving peace and stability in the region is through dialog and engagement and not through acts of war. We call on the United States government to safeguard the interests of the people of Israel and Iran. Nine years after the United States launched a war against Iraq that is widely recognized as having been badly executed and unjustified, Israel would have the U.S. implicate itself in a new war in the region, this time against Iran. We believe that Jews, and other Americans, will not support more reckless adventurism in the Middle East. In this election year, we call on President Obama not to give in to warmongering. As Jewish leaders we cannot endorse an Israeli act of war against the people of the Islamic Republic of Iran. The Bible teaches us: “bakesh shalom v’rodfehu – seek peace and pursue it.” We urge President Obama to stand firm and to use his power as Israel’s chief supporter to draw Israel to the path of peace and justice. 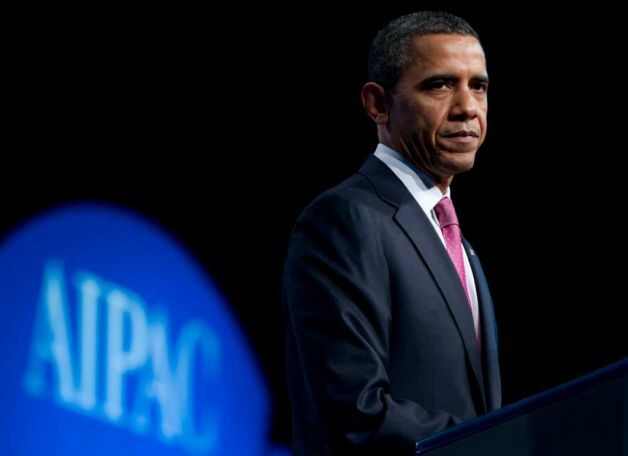 The President, in the middle of an election year, offered AIPAC no more than the bare minimum. In order to get away with that, he larded up the speech with embarrassing professions of love for Israel. I say embarrassing because no other country in the world demands such endless coddling. If a president spoke about Canada or the United Kingdom (two far closer allies) the way Obama does about Israel, he might be considered seriously off his game. Not to worry, he won’t. But the lard doesn’t mean much except to smooth his way to the substance of the speech which Obama knew that neither AIPAC nor Prime Minister Netanyahu would like. This entry was posted in Iran, Israel, Politics, War on March 5, 2012 by Rabbi Brant Rosen.